So far so good with this whole inktober business - second day, second drawing. Following the same theme as the first, with a drawing of one of my comic book characters. That’s what I’ve been working on as of late, so makes sense that it’s what’s on my mind/I’m inspired to draw. As we get closer to the end of the month I’m sure I’ll have a few witches and spooky things to share also. Thank you! 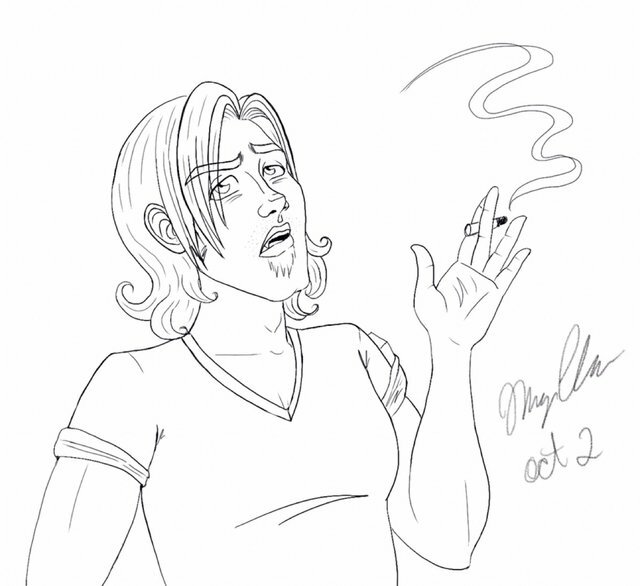 It’s sort of a fun challenge to incorporate the cigarette somewhere in every one of his appearances.